Paul's career in the arts began in the theatre, first as an actor and then as a manager, which included working in Poland for a number of years and then producing shows in London's Fringe and West End theatres. In 1989, Paul became the first director of The Junction in Cambridge. Over the next 17 years, Paul oversaw the development of The Junction and its multi-disciplined programme, raising the centre's profile to a national level with 400 performances and 600 educational events a year and attendance figures reaching 150,000 per annum. In 2000, Paul became responsible for the Junction's major capital development of some £7 million, steering it to a successful opening of a 'state of the art', 3,000 square-meter cultural facility in 2005. 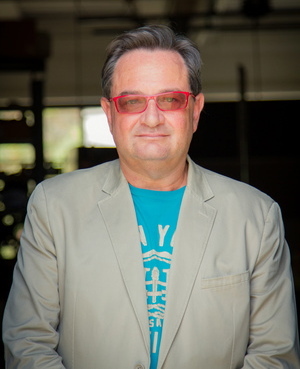 In addition, Paul was President of the European network of cultural centres, Trans Europe Halles, (2000-2007), is a visiting lecturer in Cultural Management at St. Mary's University, London, and is a Fellow of the Royal Society of Arts. Sandy was a founder member and later, Executive Director (1974 to 2001) of City Arts Centre, Dublin , overseeing the Centre’s development from one room (1974) to the opening of the largest centre of its kind in Ireland (1988). The programme of City Arts included all artistic disciplines: visual art, theatre, music, dance, comedy and special events. The Centre also initiated pioneering programmes in community arts and disability arts. In addition, Sandy was a founder member of CAFE (Creative Activity for Everyone: 1984 – 1990) now CREATE, the arts development organisation for Ireland; board member of the Royal Hospital National Cultural Centre (1985 – 1990), later to become the Irish Museum of Modern Art; board member of the Dublin Film Festival (1988 - 1993) and served on the Executive Committee of Trans Europe Halles (1997 – 2002). He has also sat on a number of advisory and policy committees including the Irish Government’s Commission for the Status of People with Disabilities and Dublin City Council Development Board.